The Hippo Water Roller Project aims to alleviate the daily struggle endured by women & children by helping them improve their ability to transport much more water, much more easily and in less time from water points that are often located far from their homes. 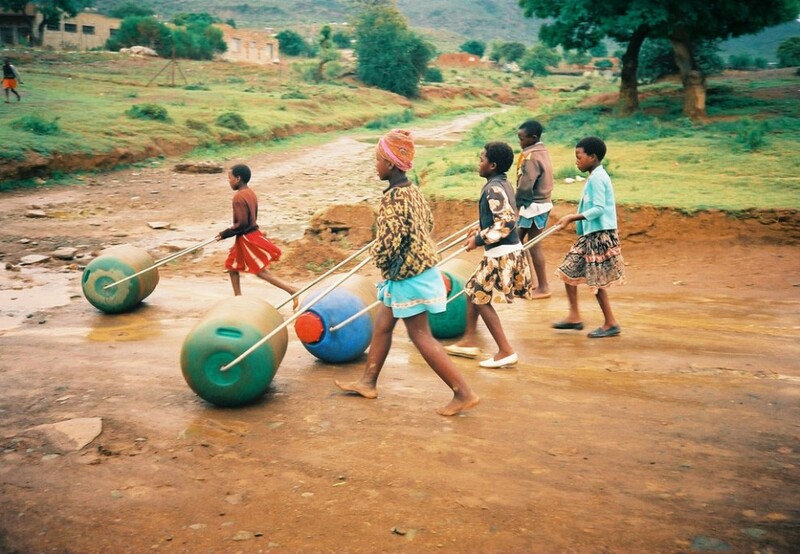 Designed in Africa for Africa (and other developing nations), the Hippo Water Roller has proven to help undeveloped communities to collect and carry water to their homes far more easily and efficiently than traditional methods. Two South Africans Mr. Pettie Petzer and Johan Jonker invented it in 1991 first calling it the “Aqua Roller”. To give it an African characteristic and considering the shape, size, thick skin and watery environment of the African hippopotamus, its name was later changed accordingly. The Hippo Water Roller has an established and successful track record developed over the past 20 years of implementation. It has been proven in the field with an increased end-user demand and has impacted positively on the community as well as achieving global recognition and respect.